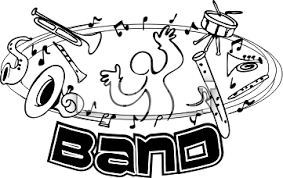 Beginning Band will begin next month for all interested fifth grade students at Seneca Grade School. Any sixth, seventh, or eighth grade students not already in band may also join at this time. Friday, August 24, all fifth graders will report to the library from 1:45 - 2:45 p.m. for the Selmer Test and movie. Please bring a pencil. There will be a demonstration of the instruments for the fifth grade classes at 8:15-9:45 a.m. Thursday, Aug. 30. After the presentation, students will have an opportunity to try an instrument. to sign up. A representative from Kidder Music will be available to make rental arrangements and answer questions.